Before Eve is born, her mother goes to the circus. She buys a penny twist of coloured sugar and settles down to watch the heart-stopping main attraction: a lion, billed as a monster from the savage heart of Africa, forged in the heat of a merciless sun. Mama swears she hears the lion sigh, just before it leaps...and when Eve is born, the story goes, she didn't cry - she meowed and licked her paws. 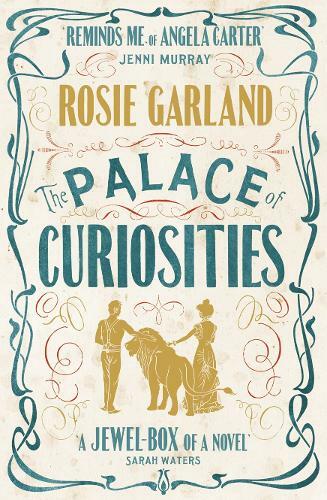 Cast out by Victorian society, Eve and Abel find succour from an unlikely source. They will become The Lion Faced Girl and The Flayed Man, star performers in Professor Josiah Arroner's Palace of Curiosities. And there begins a journey that will entwine their fates forever. This tale of two curiosities is well written in a unique style. Give the book a chance as it may take a while to get into but once you are it will be well worth it.